If you suffer from memory loss or brain fuzz, then Prevagen may be the perfect supplement to help you regain your edge. According to the manufacturer, Prevagen is a nutritional supplement that prevents memory loss and protects your brain cells. It does this by replenishing proteins that are lost during the aging process. The active ingredient is apoaequorin, which is the protein component of aequorin. Aequorin is a protein that is isolated from luminescent jellyfish. According to the manufacturer, the apoaequorin helps the brain use calcium to boost its efficiency. Other ingredients include rice flour, salt and magnesium stearate. How Do I Take Prevagen? Manufacturers instructions recommend taking one capsule daily first thing in the morning. Are There Studies that Back up the Efficacy of Prevagen? The Prevagen website claims that there is a study. According to the manufacturer, "Laboratory research has demonstrated that Prevagen has potent cell protecting activity through its ability to bind calcium ions. Studies show a reduction in cellular death of up to 50% when compared to non-Prevagen treated cells." It is important to note that none of the claims made by the manufacturer have been evaluated by the ADA. Further, no independent medical studies have been performed on the product. The study cited was performed by the Society for Neuroscience, and talks in general about the uses of aequorin to protect adult and aging hippocampal neurons from cell death. According to the sudy, Calcium binding proteins, such as those found in aequorin, may help to buffer neurons from possibly toxic concentrations of intercellular calcium. These toxic concentrations can cause cell death in the brain, potentially leading to memory loss and decreased mental focus. The aequorin in Prevagen is a calcium-binding protein. There is some evidence that too much calcium crossing the protein barrier in your brain may lead to cell death, which can cause impaired memory. Enter the calcium-binding protein. The protein attaches itself to calcium and prevents it from crossing the brain's neural barrier, which may prevent cell death and lead to improved brain function. There is a caveat to all of this, however. If the aequorin found in Prevagen binds to calcium crossing the neurons in your brain, it is also likely to bind to the calcium in your bloodstream. Since Prevagen is targeted to an aging population in which osteoporosis is a growing problem, there is a chance that Prevagen could bind with the calcium headed to your bones, as well. As with many health-care supplements found on the Internet, it is difficult to find independent reviews of Prevagen without digging deep. There is a trick used in Internet marketing where manufacturers host web pages that appear to be "independent" reviews, but are actually reviews written by people employed by the manufacturer to write a certain ratio of positive to negative reviews. Internet research on Prevagen pulls up a number of pages that appear to be such pages. Be careful when searching out information and reviews of nutritional supplements that you are reading actual independent studies and reviews, and not reviews planted on the Internet by the manufacturer of the product you are researching. Amazon.com has Prevagin for $45.83. You may also be able to find some independent reviews on Amazon.com, although even on such "independent" sites, you can find professionally written reviews seeded in among the genuine ones. Drugstore.com is slightly less expensive than Amazon at a price of $44.99. 3001 prevagen S p 2989631621 VitaCost.com offers Prevagen for $44.95. 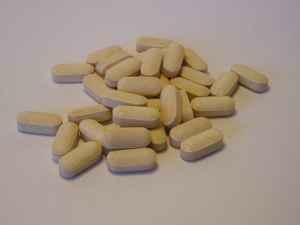 While trying Prevagen probably won't hurt much but your wallet, it is still to early to tell whether this supplement does what it claims. No independent studies have been done on Prevagen, and all evidence at this time is anecdotal. Does this mean it doesn't work? Not necessarily. At this time, the jury is out. If you can afford the 45 bucks and want to give it a try, it probably won't hurt you and may even help you. As with all supplements, check with your doctor before taking Prevagen.